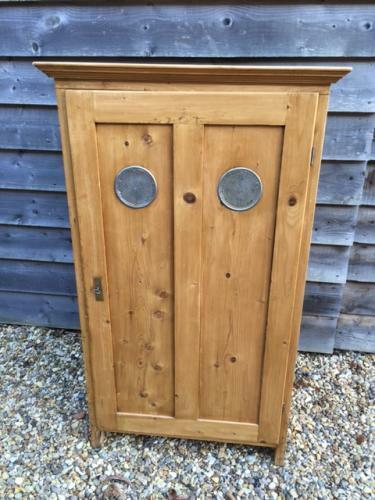 Small Antique Pine Larder Cupboard being of compact size. Ideal in bedroom hall or utility room etc. Good storage space with shelves. Good clean condition.